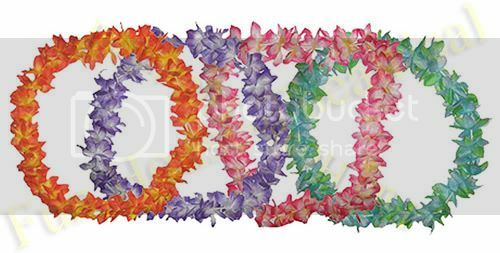 Includes one silk flower lei, like the ones worn in a Hawaiian Luau party! Excellent accessory for Hawaiiwan Luau costumes / outfits. Note that not all colors are currently available. Some colors may take around 4-7 days to ship. For prompt service, please contact us for the availability of your color choice.